Christopher Nerry Potten was born in Portsea, Hampshire on 15th May 1849 to Amos and Ann Kezia Potten (née Ockenden). While Ann was a local Hampshire girl, Amos arrived in Portsea in 1840 as an apprentice smith at the age of 12 from the West Sussex village of Patching, about 35 miles along the coast, and probably worked in the dockyard nearby. Amos and Ann married on 18th September 1848. While we know very little of Nerry's early life, we do know from an article published by the Hampshire Telegraph in 1888 that his talent as an artist was originally spotted during his school days by an assistant teacher and then promoted by his school's headmaster who managed to get Nerry some lessons with the well-known Portsmouth artist, Richard Poate. By the age of 14, Nerry had already exibited three paintings in the fine art department of a county exhibition at the Hartley Institute, Southampton. By his early twenties he had established himself as an artist in the fashionable west side of London. His studio was located at 14 Ash Church Grove, Shepherds Bush which he shared with his two sisters who also possessed some artistic talent. Nerry was a known eccentric and his picture above shows some vanity in his Bohemian dress. He married Clara Elizabeth Haynes in Eastbourne, Sussex, on 15 May 1878. Clara was born in Evesham, Worcestershire in 1854, the daughter of Frederick (a solicitor's clerk) and his wife Clara who were both born in Evesham. It is doubtful that the marriage was a happy one for, by 1881, the Census shows them living apart as do subsequent Census records. Clara obviously did not wish to live with Nerry in Shepherds Bush and stayed with her father in Eastbourne. Family legend has it that Clara tried to divorce him but he maintained that he could provide a home for her and the Court dismissed the case. This legend is given some credence by the fact that the 1881 - 1901 Censuses state that both of them are married. It is doubtful whether a Court today would be so unsympathetic to his wife's plea. By 1881 his widowed mother, Ann, a retired corset maker, was living with him at Ash Church Grove. His wife Clara was a talented musician and it may have been on the London scene where Nerry met her when she was training. The 1901 Census for Eastbourne shows that she was living in Cornfield Road and was described as a Professor of Music. 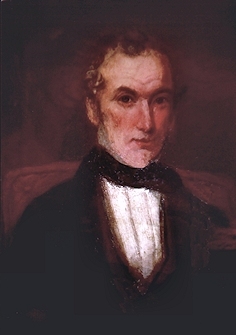 He described himself as a Portraitist and reversed his Christian names becoming Nerry C Potten, the unusual name of Neri being used by his forbears for some 150 years. He specialised in portraits in oil and watercolours, in miniatures on ivory, paper and porcelain, in 'cartes de visite', and in photographs. A prize medal was awarded for his work in 1873. By 1875 his work was becoming well known and the Dictionary of Victorian Landscape Painters (1875 - 1880) shows him as having exhibited a painting at the Royal Academy of Arts and four at the Suffolk Street Galleries, later the Royal Society of British Artists. Known works include: 1877 "The last of the Bards" (sold for £21); 1878 "The Downs near Eastbourne"; 1878/9 "A Peep at the Winding River" (sold for 25 pounds); 1879 "The Oncoming Summer"; 1879 "The Ruins of Bolton Abbey" (105 pounds - a substantial sum in those days); and 1880 "An Unfrequented Lane" (15 guineas). Records also show that Miss C Potten sold two worthy paintings 1875/6 "Path by the River" (10 guineas) and "Fruit" (18 guineas) while Miss M Potten in 1875 sold "Orleans Plums" for 12 guineas. These could well have been his sisters but no trace has yet been found of their birth. Nerry, however, became argumentative with the establishment and unable to agree a reserve price on a painting withdrew the work and never seriously exhibited again. In 1890, Nerry was commisioned, in conjunction with another artist (W F Stocks), to produce an album of some 20 watercolour drawings of Tring Park and neighbourhood as a gift from the inhabitants of Tring, Buckinghamshire, for the Hon Walter Rothschild on attaining his majority. An illuminated address within the album was also executed by Nerry. He continued to work from his studio until he built a house just outside Pulborough in Sussex and retired there in 1909. He named his house Pottenhurst, a name adopted by the area for a while and for many years the local postbox was inscribed "Pottenhurst". In retirement he continued to paint, more for enjoyment, and probably joined the local artist community, many of whom were German, but WW1 brought an end to that fraternity. He frequently visited his relatives in Patching and a number of beautiful paintings are still retained by the family. Sadly, Nerry always refused to sign his works which makes them difficult to be identified today. He continued to live an eccentric life and, although aged, still maintained his Bohemian style dress, as shown in the photo above, although his long hair was now grey. At home, his life-style was equally eccentric. Although a reasonably wealthy man, he is rumoured to have eaten off newspaper while his china and silver cutlery were locked away. Nerry died of heart disease and senility on the 18th October 1934, aged 85, and is buried in the parish churchyard in Pulborough. In death he was as unpredictable as he had been in life, revoking his previous wills and leaving his whole estate to his housekeeper, Mrs Frances Yaxley, who had nursed him night and day for nearly five years prior to his demise. *Thanks to Kieran Owens for providing a copy of this newspaper article.